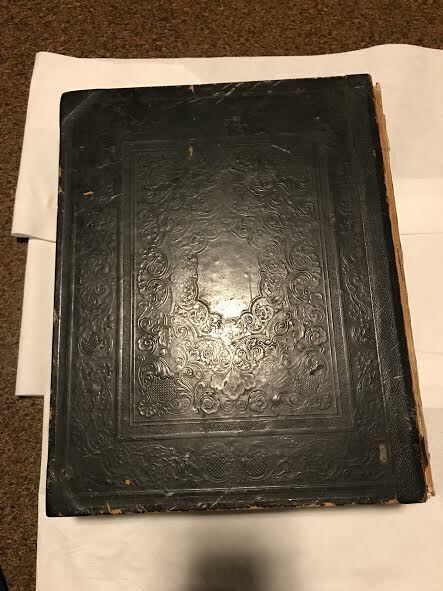 When two Delta Tau Delta fra­ternity members went searching for antique objects to display during a pre­sen­tation cel­e­brating the chapter’s 150th anniversary in October 2017, they didn’t expect to find the chapter’s original Bible. Juniors Joshua Waechter and Vincent Miozzi found the Bible in a plastic con­tainer brought up from the basement of the Kappa chapter house. “I don’t think anybody had any idea this Bible was down there,” Waechter said. 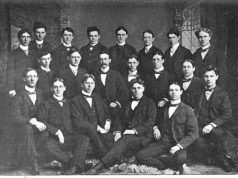 Hillsdale’s kappa chapter of Delta Tau Delta lost its charter in 2003 and didn’t have a charter at Hillsdale again until 2008. 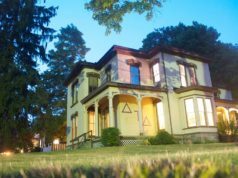 Waechter said a lot of para­pher­nalia had been taken from the Delt house after the chapter left campus. Despite being stored in a basement for over 10 years, Waechter said the Bible, pub­lished in 1846, was in rel­a­tively decent shape. After dis­playing the his­toric Bible for the 150th anniversary cel­e­bration, Waechter con­sidered restoring it. During the same time period, assistant pro­fessor of English Kelly Scott Franklin was giving a talk on rebinding books. Waechter approached Franklin about restoring the Bible after attending the talk. Franklin said he had learned to bookbind during graduate school. Franklin said he uses his hobby to rebind journals and make them more beau­tiful. Franklin con­siders book­binding an artisan skill. “It’s a craft, but it’s also an art form,” Franklin said. Although he was inter­ested in helping the Delts, Franklin said he didn’t feel qual­ified to take on the task of restoring the Bible. Franklin referred Waechter to Hillsdale College public ser­vices librarian Linda Moore, hoping she would know somebody who could restore the Bible. Moore told Waechter she knew of a book­binder in Ann Arbor, Dianna Samuelson, who would be able to restore the Bible. In the spring of 2018, Moore took the Bible to Samuelson to be examined. 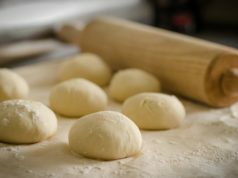 Moore said the pro­posals often include several options with dif­ferent costs. After agreeing on a pro­posal, Samuelson keeps the material until she’s done working on it. The total cost of the Bible’s restoration was $530. Waechter said he knew the restoration was going to be expensive and wasn’t sure if the members of Delta Tau Delta could raise enough money to cover all of the restoration costs. In response to this concern, Franklin reached out to Senior Director of Insti­tu­tional Advancement Calvin Stockdale to inquire about finding donors for the Bible’s restoration. “I just thought: ‘There’s got to be donors that would pay for this and that would be inter­ested in sup­porting the Delts and sup­porting the college,’” Franklin said. Stockdale con­tacted Peter Beckwith, who is the former Hillsdale College chaplain and Delta Tau Delta chapter adviser. Addi­tionally, Beckwith was a member of Delta Tau Delta while he was a student at Hillsdale. After reaching out to several donors, Beckwith found three men willing to make dona­tions: Richard Dan­forth, David Potts, and Ronald Reynolds who Beckwith said have been active on campus with the chapter. 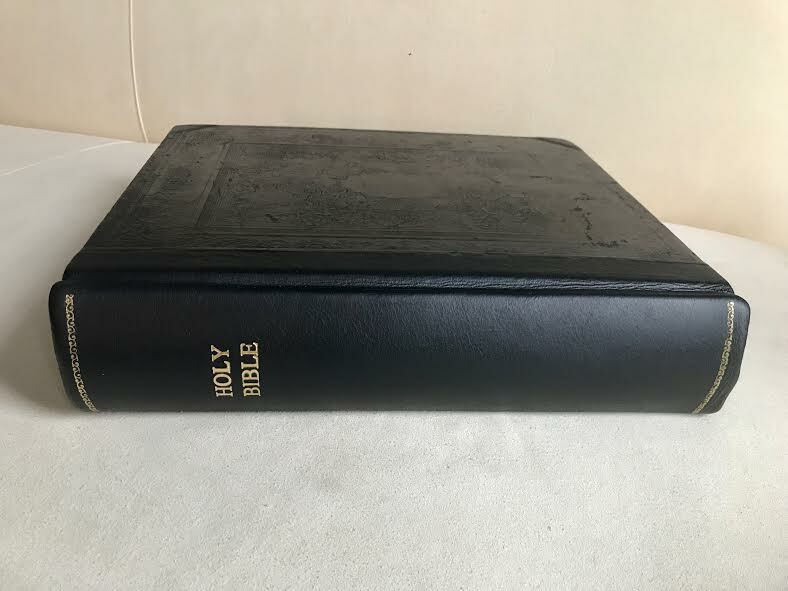 Up until the time of the Bible’s dis­covery, Beckwith said the chapter has been using a small Bible instead of a lectern size for its formal meetings and ini­ti­a­tions. “That Bible has a per­manent place in those cer­e­monies, so it’s really neat to get that Bible back,” Beckwith said. For Beckwith, the Bible has a special meaning. “That was the Bible I put my hand on, as did my [bio­logical] brother,” Beckwith said. Waechter said he feels for­tunate to have found such an important piece of the kappa chapter’s history. Delta Tau Delta pres­ident-elect Luke Grzywacz said Chris­tianity is a very important aspect of the chapter. Grzywacz said he is also excited to have the Bible for the ini­ti­ation process of new chapter members. “It’s going to be amazing for future young guys, when they get brought in, to have that original piece of Kappa Chapter history staring them in the face,” Grzywacz said. Echoing Grzywacz, Waechter said he feels the Bible is a pow­erful piece of tan­gible history for the chapter. “I think it’s going to help usher in a new phase of the fra­ternity as we’re growing together as men, bound by this common sense of purpose and mission,” Waechter said. When I was at hillsdale the Delts were a great house. Very fun. Better than this crew. I’m guessing the Bible did not have a major role with the house at that time, as Hillsdale was not a christian school and the Delts threw great parties and were pri­marily learned humanists, marxists, or lib­er­tarians.